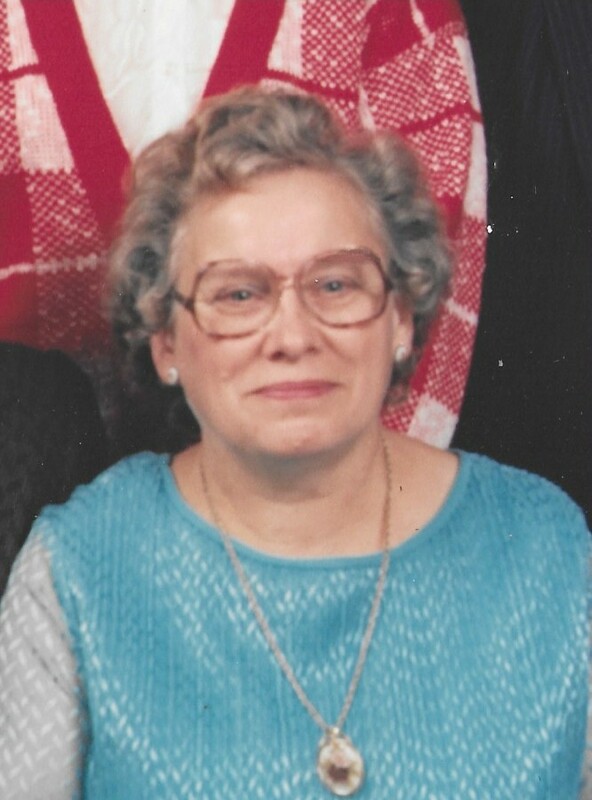 Margaret Ann Schindler, 90 years, of Bryan, passed away early Monday morning, January 28, 2019 at Genesis HealthCare-Bryan Center with her family at her side. Margaret was born November 8, 1928 in Cecil, Ohio, the daughter of the late Joseph and Mary (Barker) Ensman. She married Richard J. Schindler on January 26, 1949 at St. Patrick’s Catholic Church, Bryan, Ohio, and he preceded her in death on May 5, 2002. A devoted wife and mother, Margaret cared for the family and helped her husband Richard on the farm. She was a member of St. Patrick Catholic Church, Bryan and the Navy Seabee Veterans of America Auxiliary. Margaret enjoyed sewing, baking and tending to her flower gardens. She treasured the time she was able to spend with and investing in and making memories with her children, grandchildren and great-grandchildren. Surviving are her five children, Sharon (Dennis) Sanders of Edgerton, Ohio, Shirley (Paul) Breidenbaugh of Ney, Ohio, Vicki (Dean) Frisbie of Pioneer, Ohio, Christine (Christopher) Brown of Hicksville, Ohio, and Rick Schindler of Bryan, Ohio; 14 grandchildren, 12 great-grandchildren; Three sisters, Cathy Warner of Bryan, Ohio, Irene (Robert) Kemp of Bryan, Ohio, and Josephine Stratton of Bryan, Ohio. She was preceded in death by her parents, her husband, Richard; two sisters, Marie Stantz and Betty Repp; two brothers, Charles Ensman and Claude Ensman. Visitation for Margaret Ann Schindler will be held on Friday, February 1, 2019, from 4:00 – 8:00 p.m. in the Oberlin-Turnbull Funeral Home-Lynn Street Chapel, 206 North Lynn Street, Bryan, where the Rosary will be recited at 7:45 p.m. Friday evening. Mass of Christian Burial will be held at 10:00 a.m. Saturday, February 2, 2019 at St. Patrick Catholic Church, 611 Portland Street, Bryan with Father David Tscherne officiating. Interment will follow in St. Mary’s Catholic Cemetery, Edgerton, Ohio. The family has requested that those planning an expression of sympathy to consider memorial contributions be made to St. Patrick Catholic Church, 611 Portland Street, Bryan, Ohio 43506 or to St. Jude Children’s Hospital, 501 St. Jude Place, Memphis, Tennessee 38105.